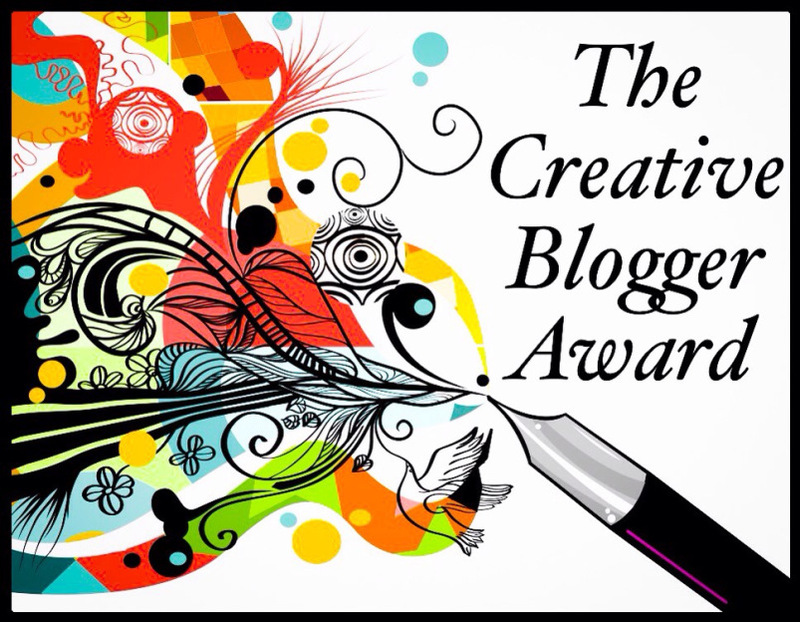 So, the amazing Murf at Murf Versus tagged me with the Creative Blogger Award. I'm very honored, because he's a blogger I admire greatly, and he said some very nice things about my blog that are greatly appreciated, and gave me some warm-fuzzies. Much along the same vein as the Liebster award, I must answer some questions and tag some folks. Much like Murf and his nominator Kelly, I won't be able to tag 15 people. I'm also on the same page as Murf, and feel that being a tad more selective means a tad bit more to get tagged for it. But first, let me share some random facts about myself. My favorite band is Nightwish. I have religiously purchased every single album, and have seen them twice live. (It would have been three times, but they had to sadly cancel the show because their gear ended up on a different plane than them.) I even have a framed-and-signed poster from the Anette-era. I also fangirl profusely when I meet other Nightwish fans. Being a natural Ginger, I have lots of freckles, but mainly on my shoulders and arms (due to a second-degree sunburn in high school at a rock concert). I absolutely adore my freckles, and wish I had more. In fact, I even have favorite freckles. One is on my right eyelid, and the other is on my pointer finger. I love tattoos. I currently have two, and have many more planned out in honor of family members. My first tattoo was a Celtic-inspired dragon on my lower-back on the left-hand side. My second tattoo I got in honor of my maternal-grandfather after he passed away. It is the nickname I called him with a purple heart next to his name (he was a Purple Heart recipient in WWII) on the back on my neck on the left. Speaking of tattoos of folks' names--I don't ever want to get a tattoo of someone's name on me while they are alive. I feel that it jinxes things. I also believe that names are a very powerful thing in a person's life, and shouldn't be put anywhere unless the person themselves does it. My mother is in town in just under two weeks (12 days, but who's counting?). The last time I saw her (or any of my family for that matter) was when Chaide and I married in July 2013. The next time I'll see any of my family will be for Christmas--almost 2 1/2 years since I saw them last. The Godmother of ALT:ernative Chat: Now, while I no longer play WoW, nor do I plan on it in the near future, I like to keep up with what's going on, and how folks are feeling about it. Back when I played WoW, I always felt like Godmother had a unique way of sharing the news and how she felt about it, and I've come to appreciate that--regardless of whether I still play the game or not. Besides, who else can claim that they've been passionately writing about the game they love for as long as she has! Belghast of Tales of the Aggronaut: First of all, the obligatory #BelEffect must be made. Honestly, the first time I read Bel, I looked up to him (and still do) as someone I wanted to emulate and decided to get back into blogging. He posts every single day, and always has something meaningful and interesting to write about. Braxwolf of Gaming Conversations: Brax first found his way into my feed thanks to the #BelEffect, and I've been loving all of his posts and podcasts since. I look up to him as an individual that finds time for his hobby, and his family. I particularly love his podcast, Beyond Bossfights, especially the short segments at the beginning where he interviews his children on what they're playing, and why they enjoy it. I only hope to be able to be as wonderful a gaming parent when Chaide and I start our Brood. Scott of Ramblings of a MMO Gamer Guy: Another blogger that found their way into my feed via the #BelEffect, Scott has a unique mix of gaming thoughts and his own artwork thrown together into a wonderful mix. His artwork is amazing, and he's starting a new bit where he's creating line art for adults (and kids) to color. Scott is a very interesting individual, who always takes time to chat with folks, and make them feel a part of the blogging community. While there are a great many bloggers out there that are creative, these are the four that have influenced me most as I've delved back into the blogging world. Thank you for all the inspiration as bloggers.